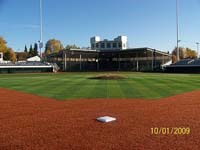 Following successful completion of the site work for the Dimond Football Stadium, B.C. 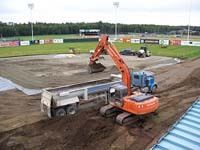 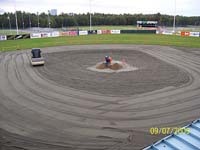 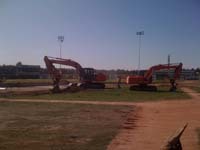 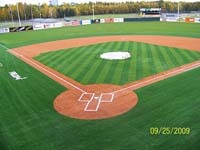 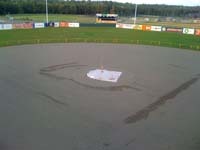 Excavating was selected as the civil contractor to upgrade the turf at the Mulcahy Baseball Stadium. 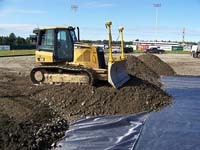 The site was mapped using site modeling software from Terramodel. 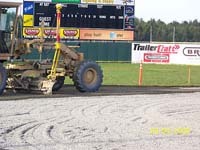 The 3-D program was loaded into a D-5 Dozer and a Cat 140 Grader GPS on board system to establish grades and hold to the strict tolerances required for field turf installations. 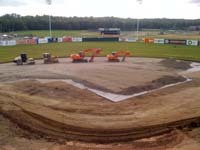 Work included upgrades to both dugouts and working with subcontractors installing an underground sprinkler system. 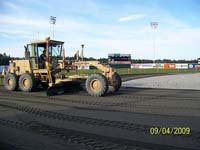 The project involved removing existing soils to allow placement of three specialty layers of gravel, leveling course and a finishing stone. 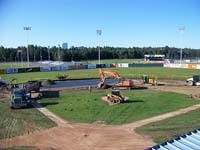 The project was finished ahead of schedule and on budget.